In addition to the safety threats made by the rising number of work place incidents occurring around the nation, there still exists the dangers associated with natural disasters, fire, ventilation system failures and weather events. Should there be a need to implement an orderly exit of a commercial building, it is critical to have in place a well-designed evacuation plan. 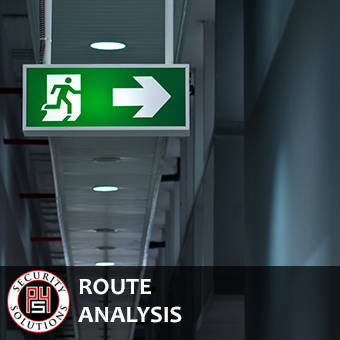 The experienced and trained professionals at P4 Security Solutions have helped many of our clients with the development and implementation of effective building evacuation strategies. Being well prepared for the need to remove employees quickly out of a building is not only required by law in most areas, but it is also a sound and an ethical business practice. When it’s time to assess the effectiveness of your organization’s evacuation procedures, you can count on the highly experienced team at P4 Security Solutions to provide expert guidance. P4S will conduct in-depth assessments focusing on routes and transportation methods to identify outstanding risks to our clients’ assets and operations as well as those of their key suppliers. Upon completion of each assessment a report will be submitted outlining key risks relative to both the transportation provider and the key routes utilized. The report will also contain our team’s proposed solutions for mitigating asset loss in transit.